Disclaimer: The products featured were provided for review. Scented with a refreshing citrus fragrance, the Nitty Gritty Almond Seed Exfoliant is a gentle face scrub made with crushed almond seeds dispersed in a light cream base consisting of rose water, aloe juice, shea butter, jojoba oil, and licorice extract. Physical exfoliants for the face can sometimes be too abrasive or not scrubby enough but the Nitty Gritty contains just the right amount of crushed almond seed. It gives the face an effective scrubbing and leaves the skin feeling hydrated but not greasy. Ingredients: Organic Rose Damascena Flower Hydrosol, Organic Aloe Vera Leaf Juice, Organic Vegetable Glycerin, Caprylic Capric Triglyceride (derived solely from coconut), Organic Shea Nut Butter, Organic Jojoba Seed Oil, Organic Almond Seed Granules, Xanthan Gum, Glycerol Monostearate Citrate, Cetearyl Alcohol, Glyceryl Stearate Citrate, Sunflower Seed Oil, Rosemary Supercritical Extract, Organic Licorice Supercritical Extract, Honeysuckle Supercritical Extract, Organic Lemon Peel Oil, Sweet Orange Essential Oil. Made with nine active ingredients (rose, calendula, turmeric, aloe, shea, rosemary, vanilla, seabuckthorn, honeysuckle), the Task Force Nine is a multi-use cream with antiseptic and anti-inflammatory properties. 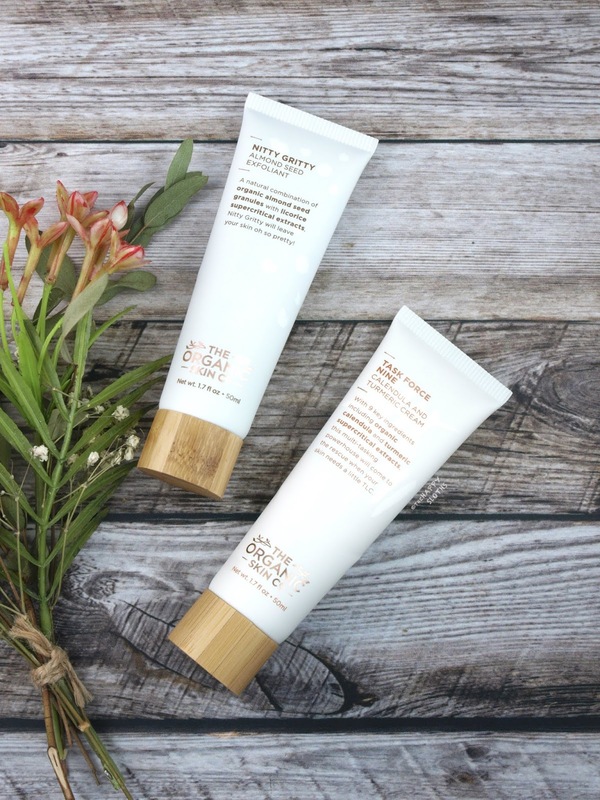 With a surprisingly lightweight texture, the cream is immediately soothing and hydrating. The formulation doesn't feel heavy or greasy but it unfortunately made my skin incredibly shiny. I do have naturally oily skin but something about this cream (perhaps the shea) increased the shine by ten-fold so I would probably limit this for night time use only. 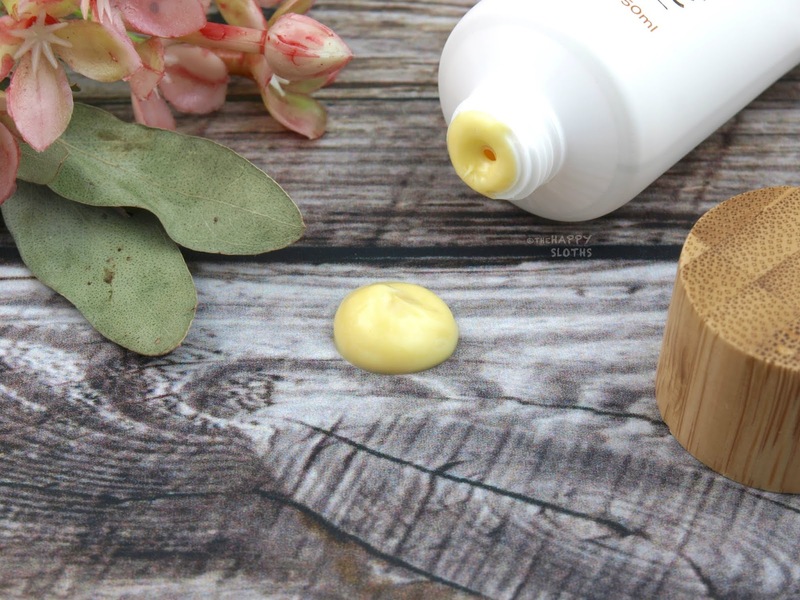 Nevertheless, this is a very hydrating and lightweight cream for those that appreciate a silicone-free, alcohol-free, and 100% natural moisturizer. Ingredients: Organic Rose Damascena Flower Hydrosol, Caprylic Capric Triglyceride, Organic Vegetable Glycerin, Organic Aloe Vera Leaf Juice, Organic Shea Butter, Glycerol Stearate Citrate, Glycerol Monostearate, Organic Jojoba Seed Oil, Organic Calendula Flower Supercritical CO2 Extract, Sunflower Seed Oil, Rosemary Supercritical CO2 Extract, Honeysuckle Supercritical CO2 Extract, Organic Vanilla Supercritical CO2 Extract, Organic Turmeric Root Supercritical CO2 Extract, Organic Seabuckthorn Seed Supercritical CO2 Extract, Xanthan Gum, Cetearyl Alcohol, Organic Lemon Peel Oil. Overall, I'm very pleased with both products. The Task Force Nine Cream may not be the best match for my skin type but its list of ingredients is very impressive. 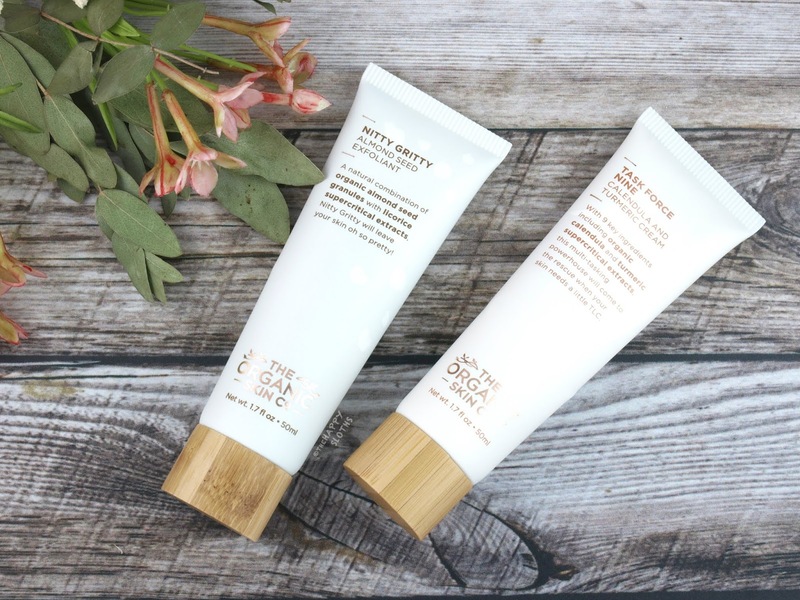 The Nitty Gritty Scrub, on the other hand, I would recommend for anybody who loves a good face scrub! 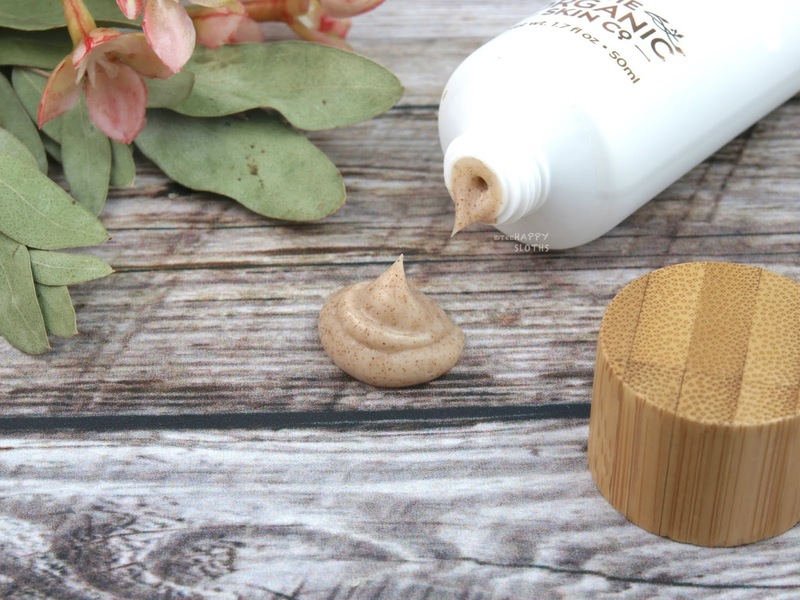 Have you heard of The Organic Skin Co.? Are you big on organic and natural skincare products? Share your thoughts with me in the comments below! The Organic Skin Co. is available online at theorganicskinco.com.